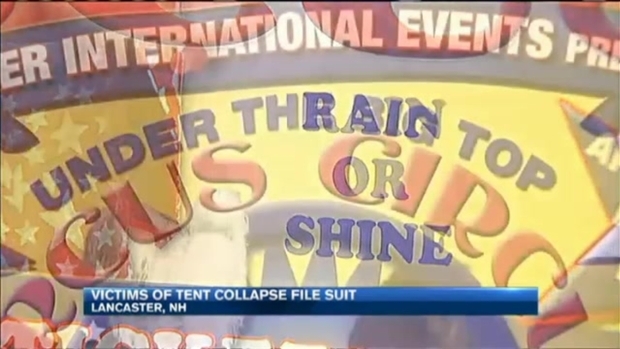 Three days after the deadly tent collapse in New Hampshire, several victims are planning to file a lawsuit against the circus company. It was living through a nightmare for the dozens of families packed inside the Walker Brothers Circus tent in Lancaster. Attorney Peter McGrath of Concord, who represents four of those families, says some of his clients are unsure how they'll pay the medical bills incurred in the collapse. State Fire Marshal Bill Degnan confirms Walker Brothers did not obtain the proper permit or safety inspection; however, he said even that may not have kept people safe during the 90 mile per hour wind gusts Monday night. McGrath and his clients though are convinced this tragedy could have been avoided. As investigators continue to look into the cause of a dead circus tent collapse in New Hampshire, the company behind the shows will be resuming performances in Maine this weekend. 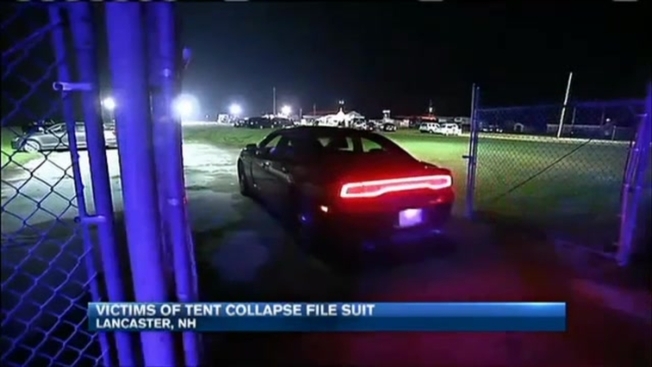 "The experts we have spoken to say the tent could have been assembled to withstand the wind," McGrath said. McGrath says he's requested insurance information from Walker Brothers, but that the Florida-based company has not responded. He says his clients want to avoid litigation, but if Walker Brothers doesn't cooperate soon, he will take the company to court. "What we will do is provide some dollar amount for the insurance company to compensate for out of pocket costs and some of the pain," he said. "It's hard to ever give enough money in some of these situations." Necn has also reached out to Walker Brothers Circus regarding this potential lawsuit, and have not yet heard back. The state's investigation into the incident is expected to take weeks. Meanwhile, Walker Brothers Circus plans to resume performances again this weekend in Sanford, Maine, with or without the tent. Officials in Maine are confident the circus will be safe, and say that Walker International Events has the proper state permits, even thought they did not have a permit in New Hampshire. However, it seems that people are avoiding the show, since not a single advance ticket has been sold since the accident on Monday that killed a father and his 6-year-old daughter and injured 60 others.